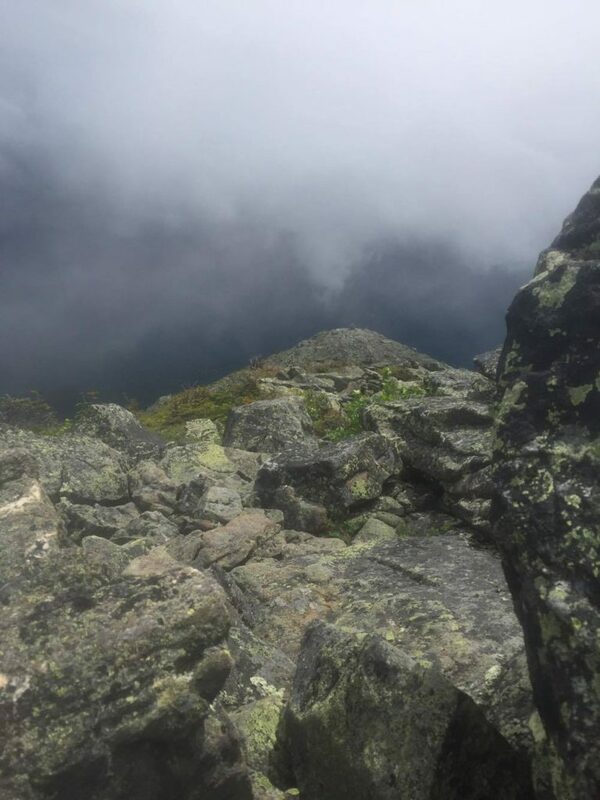 Hiking Fail: Presidential Traverse, NH - Viajeros. Amigos. They say when you make plans, God laughs. Well God laughed a lot on this weekend. 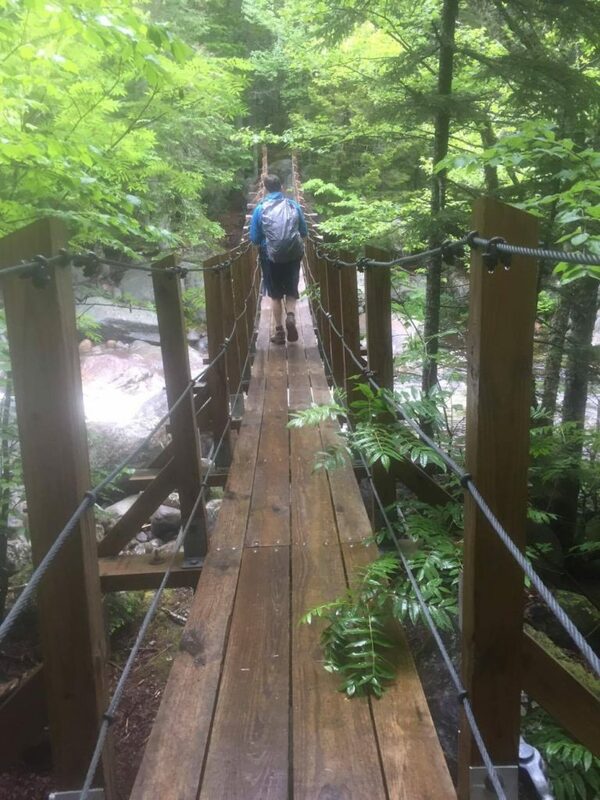 My friend John and I set out to hike the Presidential Traverse in New Hampshire. 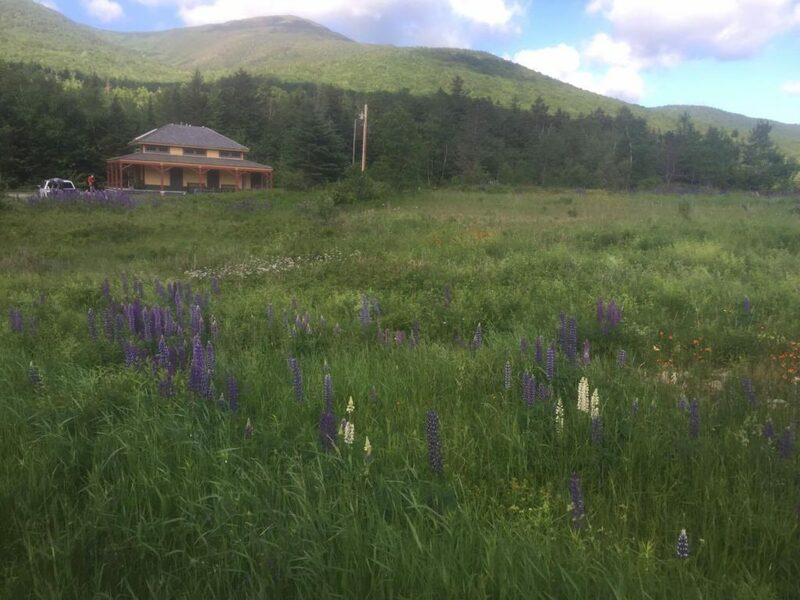 We left Connecticut on Friday morning, so that we could get to the White Mountains in the afternoon, find a campground, set up camp, and prepare for the next morning. John had a couple friends that were going to meet us up there after they got out of work, arriving later that night. 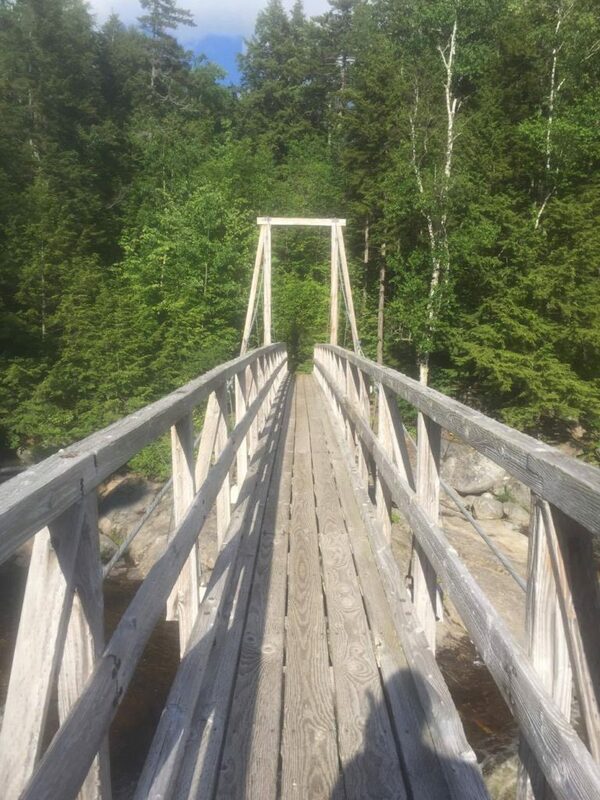 Most of our ride went off without a hitch, until we got up into the very rural areas of the White Mountains. It was around that time that John noticed his tire pressure sensor light up, so we pulled over. And of course, in the middle of nowhere with minimal service, we got a flat tire. Thankfully John has changed flat tires before and was able to switch them out within fifteen minutes (it would have taken me an hour at least). I stepped outside the vehicle to take a peek and help out, and almost immediately I noticed a tick crawling on my leg, which would make me paranoid for the rest of the trip. Once the tire was changed, we were able to continue on to our journey, although now to a new location (any auto body shop we could find), and at a much slower pace with our spare. We finally arrived at our campsite an hour later than we had anticipated doing so, found that there was one campsite open for the next two days (YES!) and set up our tents. Realizing we didn’t have any service where we were, we hopped back into the car and headed into town for some food and to update the others of our campsite success (and maybe do a little tax free shopping!). We found ourselves in North Conway, which we found to be a typical, rural New Hampshire town, with an adorable shop-lined Main Street surrounded by some sparse lodging. Around 6pm, John updated his friends, who were just about to leave Connecticut and anticipating meeting up with us around 11pm. We’d be asleep by then, he told them, but we’d be sure to all set our clocks to 4am and we’d see each other in the morning. Our luck came up short for shopping, but we had a great dinner, and headed back afterwards to get to sleep. There’s something about sleeping outdoors that’s so relaxing and fulfilling. I didn’t set an alarm and woke up at 4 am as soon as John said ‘Katie?’ from 20 feet away in his own tent. I was surprised that I slept through John’s friend showing up, since I’m not that sound of a sleeper, and I mentioned that to John as I changed in the dark and got ready. “Yeah, me too,” he said. No sooner did we emerge from our tents then did we realize that his friend hadn’t shown up at all. With no service, we had no idea if something had gone wrong or if they had tried to contact us. So in the darkness, we drove around in search of service. The AMC (Appalachian Mountain Club) Center down the road was on the way to our hiking destination, and we knew they had service from yesterday, so we stopped over there in the hopes of reaching John’s friend. After making some frantic phone calls and no response, we went into the AMC center to chat with the staff, whom luckily, were able to provide us with some information about shuttles and Trail Angels (people who offer rides for hikers for a fee, aka Uber for rural hiking America). Equipped with all of this information, we decided on a new trail, forged ahead with a variation of the original plan. Of course we were concerned for his friend, but after all, we had come all this way. 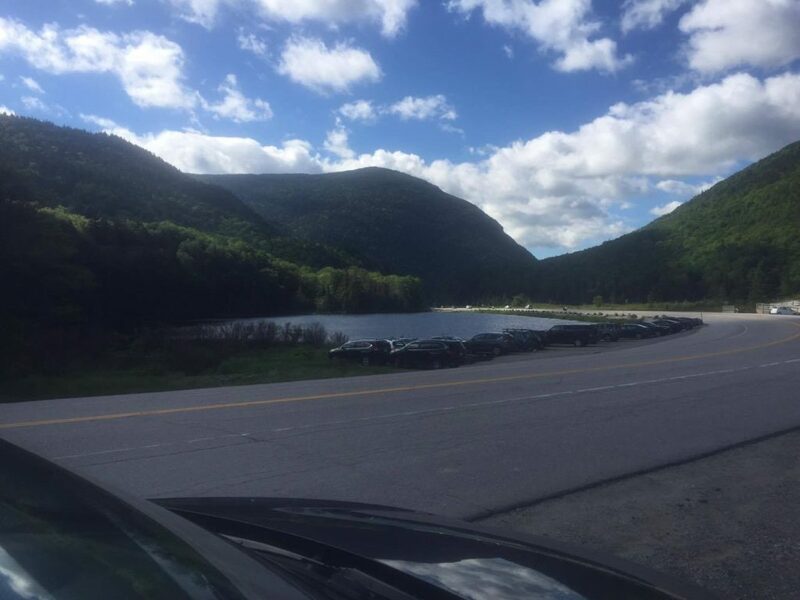 We headed to Pinkham Notch, our new jumping-off point, because a shuttle back to this location would have been possible later on if we hiked the entire traverse in a timely manner. It was 6:30am when we finally embarked on our journey, an hour and a half later than we anticipated. Even though we looked at the map, I didn’t really realize that our new hike was a flat 4-mile hike to get to the Osgood Ridge trailhead; we spent 2.5 hours just trying to get there. It was raining, the rocks were slippery, and our clothes mud-covered. 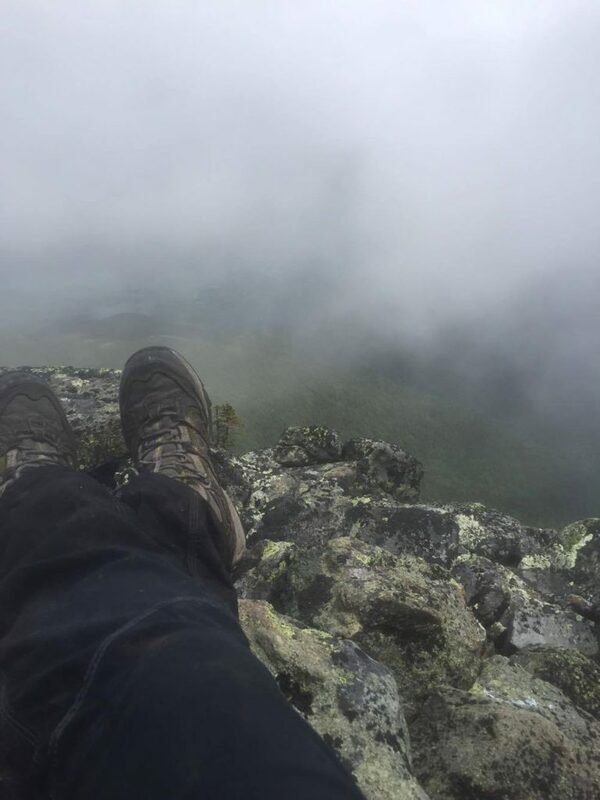 By the time we finally got above the tree line, it was around 11…way later than we had ever intended. I cheered that I had finally made it up the ascent from hell, only too soon, since the terrain above the tree line was worse; large slippery rocks that made each step a deliberate decision and threatened to sprain an ankle, compounded with more rain and hurricane-force winds that threatened to dislodge my rain cover from my pack and even my hiking poles from my hands. Every time a gust blew, I gripped my poles tighter and cowered, because to my left and right the rocks dropped off into a pool of fog and I was scared to tumble to a death I wouldn’t even be able to see. John, on the other hand, had no problem navigating the awful conditions. His rain cover actually did blow off, and I could see him carefully trying to chase it and capture it with his hiking pole. He kept trying to encourage me too keep moving through the wind gusts, telling me that I was wasting my energy cowering. I knew he was right but I couldn’t help it. Up ahead the rocks looked even worse and the trail narrowed; the drops on each side steeper and more precarious than what we passed. We took shelter behind some rocks and discussed a plan. I did not want to turn back, but I could not continue in that weather. John knew the terrain ahead and the trails to ascend ahead would be worse than what we already saw. While we deliberated and had our lunch, the sun came out. The rain stopped. The wind slowed down but remained treacherous. We turned back. Twenty feet down, the wind stopped altogether, and the weather was beautiful. But we had already made up our mind. Ironically, we finally had service. John heard from his friend that they had lost their way and his girlfriend had become sick so they didn’t start out that morning. 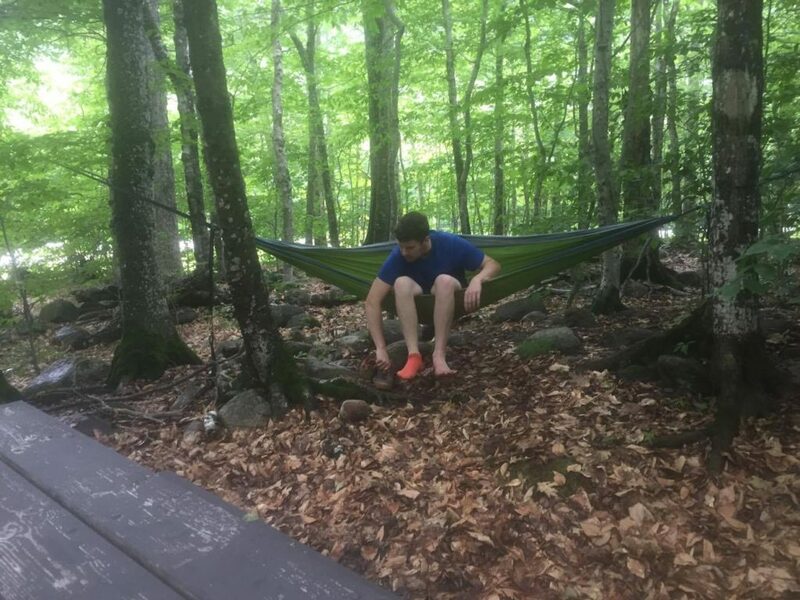 It sounded like they probably weren’t telling the truth, and John was calling his other friends to try to figure out if they knew any more about the situation while I struggled down the rocks with my fear of heights. 4 pm had us back by the car. In retrospect, we really weren’t prepared for the hike (at least I wasn’t). I read more about it afterwards, and a lot of the ridge is those giant rocks that want you to twist your ankle which kept slowing me down. We anticipated better weather after 10 am didn’t come until much, much later. 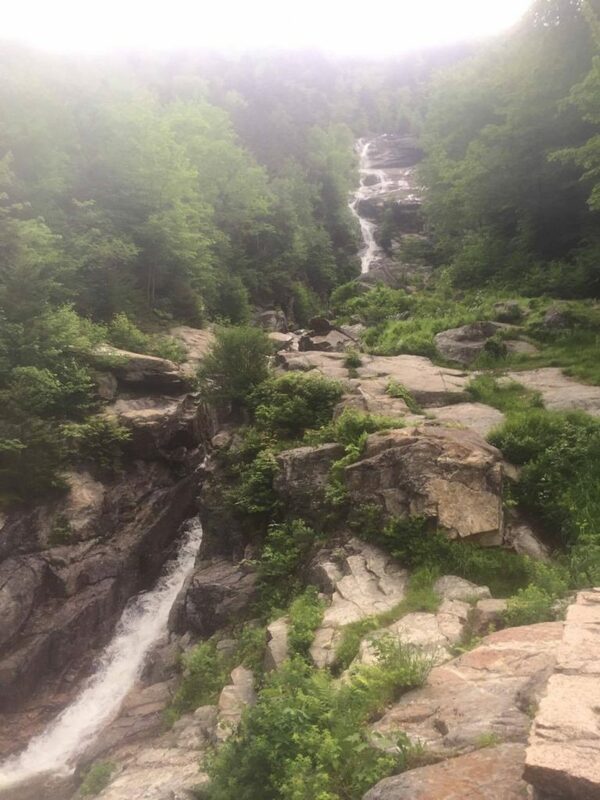 We wasted a lot of energy on those first flat 4 miles, and we wasted a lot of time trying to come up with a plan B. I did feel much better after reading that the hike we did was on a list of hardest New England hikes. 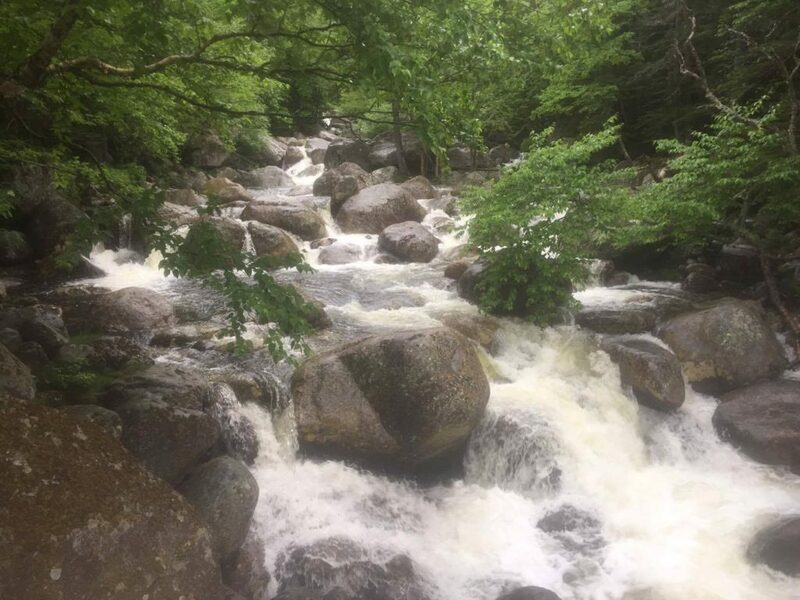 Don’t start at Pinkham Notch -Waste of energy- and know what you are getting into! Have a plan B for all possible scenarios- or better yet, make sure you have reliable friends! Watch the weather if you can! Obviously self-explanatory, I know, but sometimes you are left hoping for more from Mother Nature than you get. Pingback: Croagh Patrick is No Walk in the Woods | Viajeros. Amigos.